J.D. Power publishes the Vehicle Dependability Study (VDS) on an annual basis. Now in its 30th year, the VDS surveys thousands of vehicle owners in order to find out what has gone right and what has gone with their cars, trucks, SUVs, and vans. Only original owners of vehicles are included in the survey, and only problems experienced during the 12 months prior to the survey are recorded. The findings are reported in the VDS. To help consumers make the best choice in a vehicle, J.D. Power summarizes the VDS data in the form of an overall dependability rating presented on a 10-point scale. This simple summary of the information gives car buyers easy access to the overall findings for a given model, and the ability to quickly compare different models in order to find the right model for their needs. This guide contains the most dependable small cars originally sold for the 2016 model year. Each one receives an overall score of 9 or 10 out of 10, the vehicles are listed below in alphabetical order, and those models receiving an award for dependability are specifically identified as such. An upscale small sedan based on a global General Motors platform shared with Chevrolet and Europe’s Opel, the Buick Verano is the highest-ranked compact car in the 2019 VDS. Offered with a choice between a 2.4-liter 4-cylinder and an impressively powerful turbocharged 2.0-liter 4-cylinder engine, the Verano added greater range of adjustment for the power driver’s seat as well as several new paint colors for the 2016 model year. 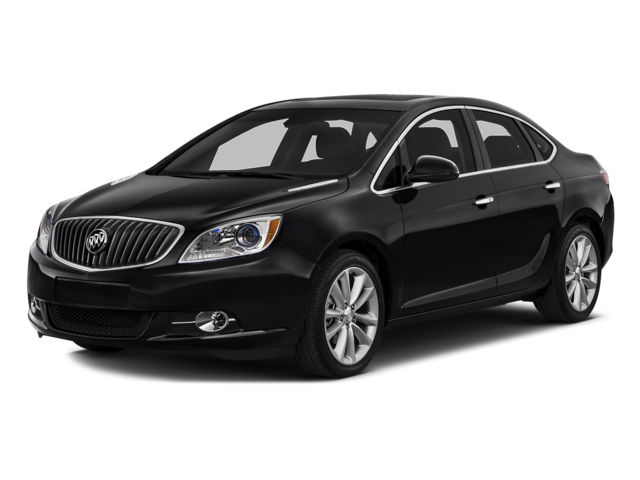 The 2016 Buick Verano receives a Vehicle Dependability score of 10 out of 10, and receives an award in the Compact Car category. Chevrolet redesigned the Cruze for the 2016 model year, the compact sedan boasting improved driving dynamics, fuel economy, safety technologies, and infotainment systems. It came in L, LS, LT, and Premier trim levels, with an available RS Package adding a sportier look. A turbocharged 1.4-liter 4-cylinder engine delivered 153 horsepower and, more importantly, 177 lb.-ft. of torque, good for a run to 60 mph in 7.7 seconds, according to Chevrolet. A 6-speed manual gearbox or a 6-speed automatic transmission powered the car’s front wheels. The 2016 Chevrolet Cruze receives a Vehicle Dependability score of 10 out of 10. Available in 4-door sedan and 5-door hatchback body styles, the 2016 Chevrolet Sonic is a dependable small car. Offered in LS, LT, LTZ and RS trim levels, the Sonic came with a 1.8-liter or turbocharged 1.4-liter 4-cylinder engine, a manual or automatic transmission, the Sonic lineup met a wide range of requirements in an affordable and efficient car. For the 2016 model year, Chevrolet made its MyLink infotainment system standard equipment for all but the LS trim, and the LTZ version included a standard automatic transmission. New paint colors rounded out the changes for 2016. The 2016 Chevrolet Sonic receives a Vehicle Dependability score of 9 out of 10, and receives an award in the Small Car category. Hyundai’s smallest car, the Accent, came in 4-door sedan and 5-door hatchback body styles. When it was new, it had one of the most powerful standard engines in its class, a 137-hp 1.6-liter 4-cylinder. Combined with the generous standard warranty and entry-level price tag, it made for an appealing combination. In 2016, Hyundai made minor equipment changes and renamed the base trim levels from GLS (sedan) and GS (hatchback) to SE. The 2016 Hyundai Accent receives a Vehicle Dependability score of 9 out of 10. In its final year before a complete redesign, the remarkably stylish 2016 Hyundai Elantra saw few changes. A Value Edition trim level aimed to deliver more bang for the buck, while other trims received minor equipment changes. Available in SE, Value Edition, Sport, and Limited trim levels, the 2016 Elantra featured a standard 145-hp 1.8-liter 4-cylinder engine. Appropriately, the Sport trim nixed this powerplant in favor of a larger 2.0-liter generating 173 hp. A 6-speed manual and 6-speed automatic transmission were available. The 2016 Hyundai Elantra receives a Vehicle Dependability score of 9 out of 10. When people think of the Kia Soul, rapping hamsters might come to mind. That’s because when this car was originally introduced, the company wanted to appeal to a youthful audience. What this whimsical marketing strategy overlooks, however, is what a dependable, useful, and enjoyable vehicle the personality-rich Soul is. Base, Plus (+), and Exclaim (!) trim levels were offered in 2016, with a 130-hp engine in Base trim and a 164-hp engine in other Souls. A manual gearbox was offered only with Base trim; all other Souls had a 6-speed automatic. And while it looks like a crossover SUV, the Soul does not offer all-wheel drive. For 2016, new safety technology debuted in the Soul Exclaim’s Premium Package. The 2016 Kia Soul receives a Vehicle Dependability score of 10 out of 10, and receives an award in the Compact Multi-Purpose Vehicle category. Long known as the cheapest car in America, the Nissan Versa exemplifies basic transportation. The 4-door sedan is the inexpensive model, while the more sophisticated 5-door hatchback (called the Versa Note) costs a bit more. A roomy interior and, for the sedan, a big trunk are the highlights of this automobile, in addition to its dependability. For 2016, Nissan added power side mirrors and a 4-speaker stereo as standard equipment for the Versa Sedan. The Versa Note’s mid-grade SV trim level gained a more sophisticated touchscreen infotainment system for the model year. The 2016 Nissan Versa receives a Vehicle Dependability score of 9 out of 10. “Dependability” and “Toyota Corolla” are synonymous among American consumers, and this compact car’s performance in the 2019 VDS only cements that association. Available as a 4-door sedan in L, LE, LE Eco, and S trim levels with available Plus and Premium equipment packages, the 2016 Corolla lineup added new infotainment systems and a Special Edition version of the sporty S trim level. All Corollas have a 132-hp 1.8-liter 4-cylinder engine, except for the LE Eco, which gets a more efficient (and powerful) engine making 140 hp. Depending on trim, a mix of manual, automatic, and continuously variable transmissions power the Corolla’s front wheels. The 2016 Toyota Corolla receives a Vehicle Dependability score of 10 out of 10. Toyota pushed the styling envelope with the redesigned 2016 Prius, and created a downright futuristic interior for its fuel-efficient hybrid hatchback. With the passage of time, the latest Prius is less polarizing, and there is no denying its appealing blend of dependability, efficiency, and utility. It is the perfect car for lots of people. For 2016, the Prius came in trim levels called Two, Three, and Four. An Eco Package was available for the Prius Two, and a Touring Package could be added to the Prius Three and Four. All came with a 121-hp gas-electric hybrid powertrain, and the car was rated to deliver up to 56 mpg in combined driving. The 2016 Toyota Prius receives a Vehicle Dependability score of 9 out of 10. It might share its name with the Prius people commonly know, but the larger Toyota Prius v offers more space for cargo, and, as of 2016, is based on a different vehicle architecture. Plus, it actually ranks higher for dependability than the redesigned Prius hatchback. What’s the downside to the Prius v? A big drop in fuel economy in exchange for the extra interior space. Following a minor freshening for the 2015 model year, Toyota made no changes to the 2016 Prius v. Trim levels include Two, Three, Four, and Five, each equipped with a 134-hp gas-electric hybrid powertrain good for 42 mpg in combined driving. The 2016 Toyota Prius v receives a Vehicle Dependability score of 10 out of 10. Available as a coupe with a rear hatch or as a convertible, the third-generation Volkswagen Beetle is a much better car than any of its predecessors. Credit the car’s basis on the Golf platform, two torque-rich turbocharged 4-cylinder engines, and impressive dependability wrapped in the Beetle’s classic styling cues. In 2016, VW updated the Beetle’s infotainment systems, in the process adding Apple CarPlay and Android Auto to all but the base trim level. The diesel engine disappears from the lineup, which is offered in a new trim strategy that mixes and matches the engine with a designation and, when available, a special edition package name.